SQL Injection occurs when data input for example by a user is interpreted as a SQL command rather than normal data by the backend database. This is an extremely common vulnerability and its successful exploitation can have critical implications. 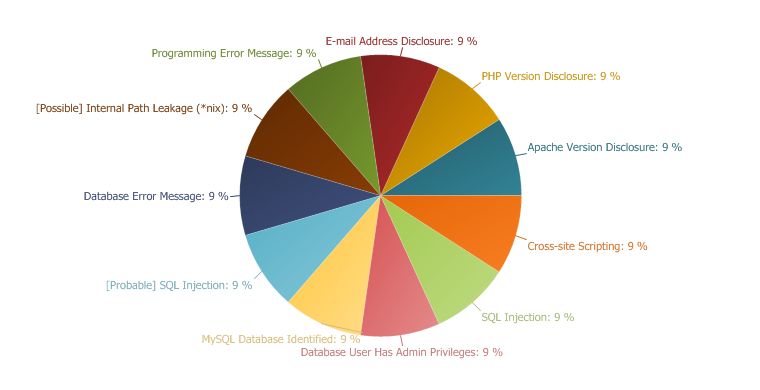 Netsparker confirmed the vulnerability by executing a test SQL Query on the back-end database. Netsparker identified that the target web site is connecting to the backend database by using a user that has administrative privileges. This issue has been confirmed by checking the connection privileges via an identified SQL Injection vulnerability in the application. Gain full access to the database server. Gain a reverse shell to the database server and execute commands on the underlying operating system. Access the database with full permissions. Where it may be possible to read, update or delete arbitrary data from the database. Furthermore, depending on the platform and the database system user an attacker might carry out a privilege escalation attack to gain administrator access to the target system. Create a database user with the least possible permissions for your application and connect to the database with that user. Always follow the principle of providing the least privileges for all users and applications. Netsparker identified that the target web site is using a MySQL Server. This is generally not a security issue and is reported here for information purposes.